Compare the Market has paid a $10,200 fine to the ACCC for misleading advertising that claimed it compared “more health funds than anywhere else”. “Compare more health funds than anywhere else”. Compare the Market also made the same or similar statements on other marketing materials including online via its website and banner advertising, on television in infomercials, and in physical form in flyers and a digital display in its office foyer. The Australian Competition and Consumer Commission (ACCC) found that two other websites actually compared more health insurance fund policies than Compare the Market. The first of these is the Private Health Insurance Ombudsman site. The ACCC didn’t name the second site. More than 30 insurers in Australia offer more than 25,000 health insurance products but commercial comparison websites tend to only cover a selection of these policies, the ACCC explained in a statement. ACCC commissioner Sarah Court said emerging consumer issues in the online marketplace was a current priority for the authority. “Many Australians have private health insurance and misleading representations could affect a significant number of consumers, who are considering switching or signing up to or health insurance providers and may rely on these representations,” Court said. Compare the Market spokesperson Abigail Koch confirmed that the company had paid the fixed penalty of $10,200 and has since withdrawn the misleading marketing materials. “Compare the Market immediately withdrew the relevant marketing material from circulation, upon receipt of the ACCC’s concerns. In November 2007, health insurance competitor iSelect faced similar criticisms, with the ACCC accepting court-enforceable undertakings from the company following misrepresentative claims based on the number of health insurance providers it compared. maintain a trade practices compliance program. ACCC chairman Graeme Samuel commented in 2007 on the “growing trend” of companies acting as intermediaries between customers and service providers. 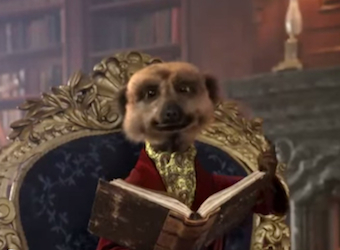 Compare the Market has announced that ‘the world’s ‘second-most-famous meerkat’ (after The Lion King‘s Timon), Aleksandr Orlov is starring in a new commercial, shot in the style of a feature film, on televisions and in cinemas nationwide. The new TVC, titled ‘The Journey of Courageousness’, answers the question of how Aleksandr and Sergei – meerkats who are traditionally found in Africa – came to live in Russia. Compare the Market also announced this month that Aleksandr’s Australian Facebook fan page has grown to more than 100,000 likes in 18 months. “This means the founder of meerkat comparison site comparethemeerkat.com.au now has more Facebook fans than celebrity favourites Rove McManus, Gary Mehigan and Natalie Bassingthwaighte combined,” said a press release issued by the company.